This looped updo is perfect for any formal occasion or if you feel like doing something a little different with your hair. It can be worn as an everyday hairstyle as well so definitely give it a try. Depending on how many little buns you create the hairstyle could look slightly different each time. Make sure to keep the buns close together so there aren’t any gaps in between. Repin or hide any hair pins that might stick out or show up at the end. One tip to remember, my first bun came a little loose after a while since my arm was constantly brushing over it. If this happens to you, simply remove the pins and retwist the hair, securing it once again to ensure it stays throughout the day or during your event. 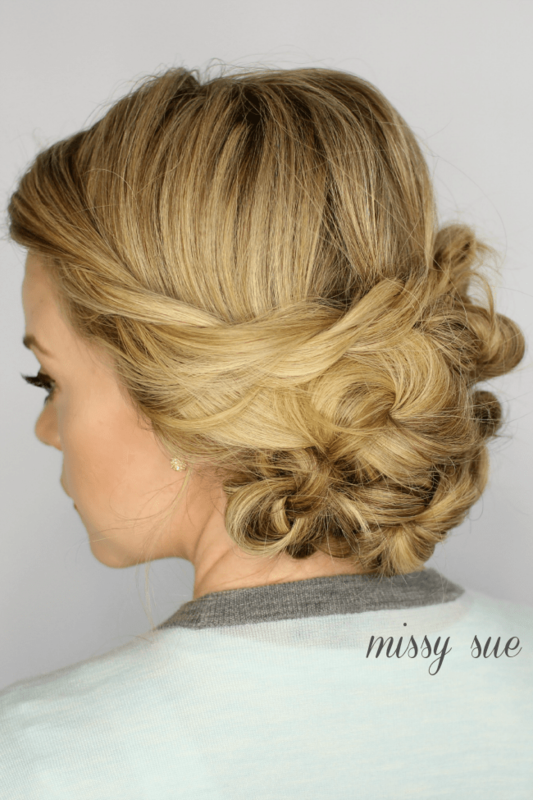 Give this hairstyle a practice run if you plan to wear it out and are a little unsure about it. Let me know what you think if you do give it a try! I love hearing your feedback so leave a comment below if you love this type of style!